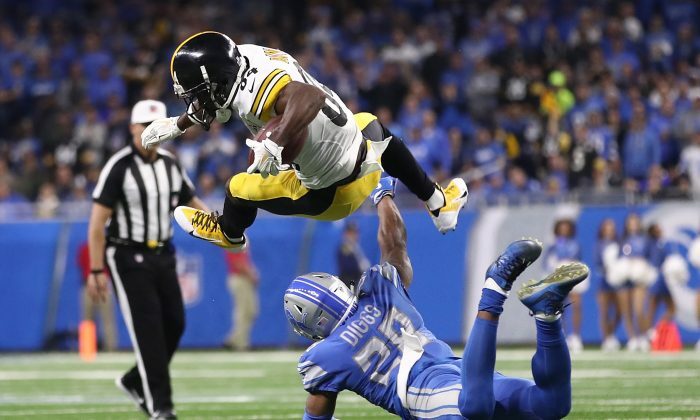 The “Sunday Night Football” game between the Pittsburgh Steelers and Detroit Lions was bested by Game 5 of the World Series between the Houston Astros and the Los Angeles Dodgers. “Sunday Night Football” got a 9.4/15 in metered market results, while the World Series Game 5 had a 12.8/24, according to Deadline Hollywood, citing Nielsen ratings. 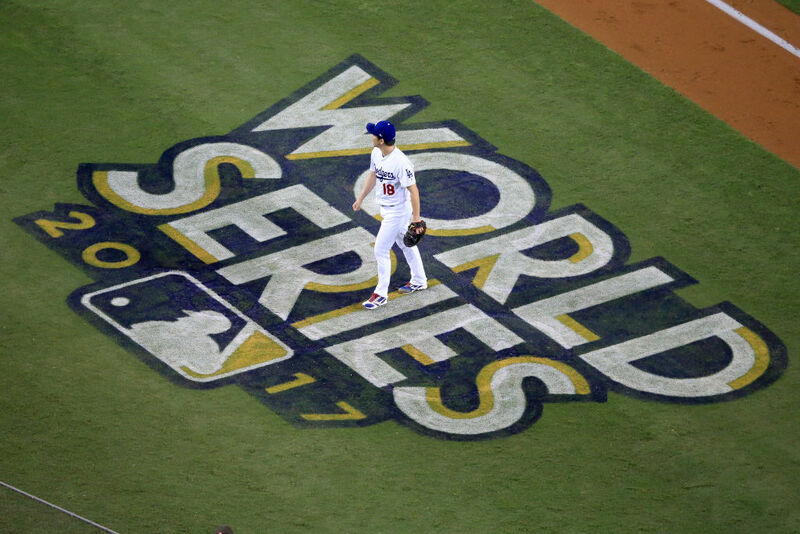 “In the World Series’ best result this year so far, that puts the Game 5 up a muscular 36% from last night’s Steelers vs. Lions game,” the report stated. 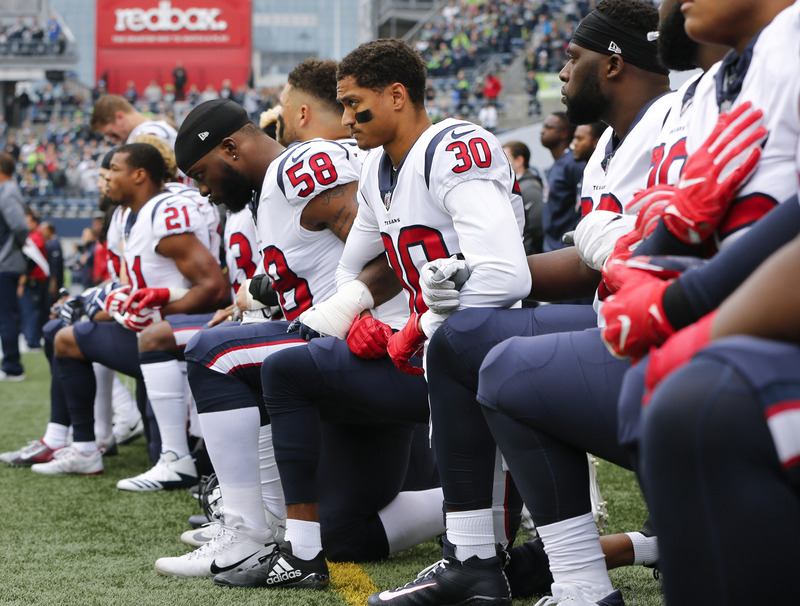 The NFL and its observers have been trying to figure out why there’s a decline in overall viewership amid players protesting during the national anthem. Sunday night’s Week 8 NFL game is down 25 percent from last week’s “Sunday Night Football” matchup, which saw the New England Patriots demolish the Atlanta Falcons. “Year-to-year, Sunday’s Steelers’ win fell 17 percent from the comparable Oct. 30, 2016 face-off when the big draw Dallas Cowboys beat the Philadelphia Eagles 29-23,” said Deadline. 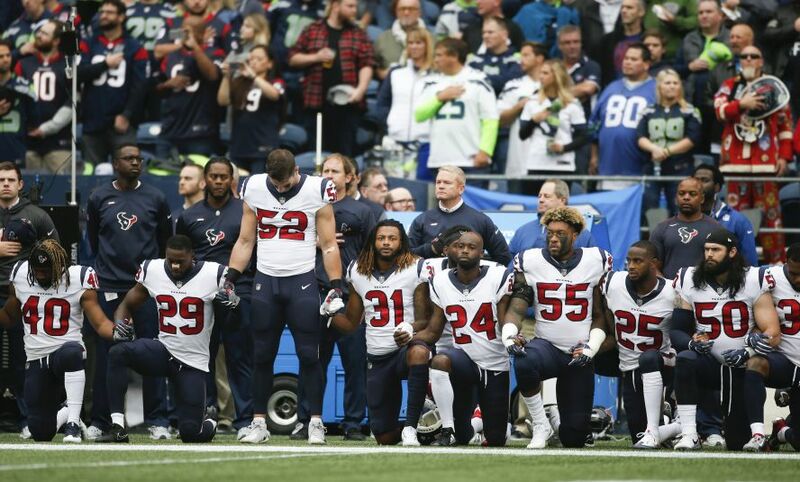 On Sunday, a few players around the league knelt during the anthem, but nearly the entire Houston Texans team took knees to protest the Texans owner, Bob McNair, after he said that “we can’t have the inmates running the prison” at a recent meeting with other NFL owners. McNair, for his part, released two apologies for the statement, which was carried in an ESPN report last week. There were reports that Texans players would peel off their team logos and decals from their helmets to protest.